National Nurses Week is four days away. Many people have had or had at least one nurse in the family. It's no different in my family. 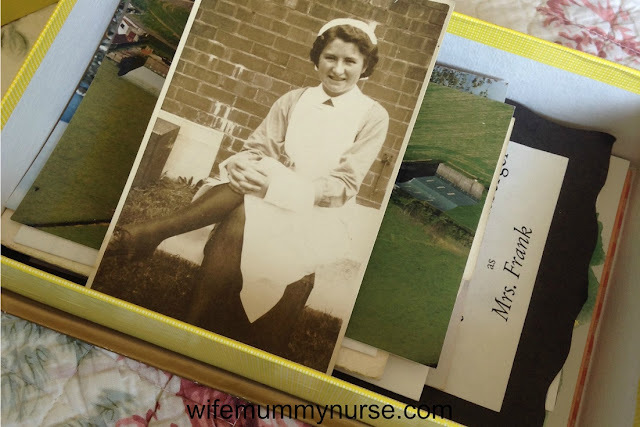 My Granny was a nurse, in Northern Ireland, during World War II. When I decided to go into nursing, I was told my my grandparents, aunts and uncles, and parents, "You're following in your Granny's footsteps." She unexpectedly died before I graduated from nursing school. I keep various family photographs in an old (at least 10+ years) Whitman's chocolate sampler box. 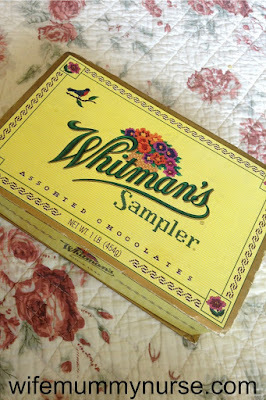 I have a few photographs-two to be exact-from Granny's nursing days. The one below is when she was in nursing school. Do you have anyone in your family in nursing? This is the BlogHer writing lab prompt for May 2, 2016. Open a storage box and snap a picture of one item in the box. Tell us why you saved that item if you also write a post.